To celebrate a birthday within the group, Carl used his expertise in 2-photon polymerisation and 3D lithography to produce this 15 micrometer scale birthday cake! The cake was part of Carl and Alex’s birthday celebrations, a much larger scale event! 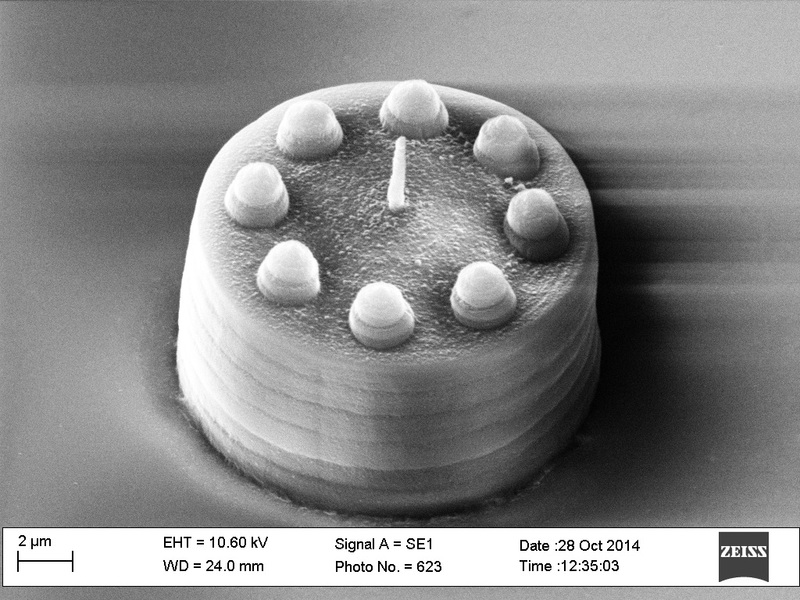 Too small to be seen with the naked eye, this image was taken with a Scanning Electron Microscope (SEM). Happy birthday Carl and Alex! This entry was posted in General interest, ISA group, Social by Faul Research Group. Bookmark the permalink.